May and June seem to bring important moments in our lives. Just this weekend we traveled to celebrate three graduations, a graduate degree, a bachelor’s, and a high school graduation. My parents celebrated 60 years of marriage. 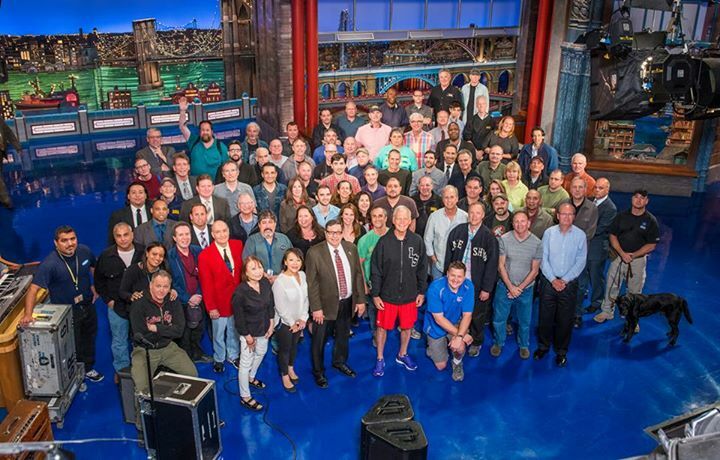 My oldest friend celebrated his daughter’s Bat Mitzvah, and my husband ended his 24 years as an audio-engineer on The Late Show with David Letterman. No matter where he goes next, he won’t be working on David Letterman’s show. These are all major milestones that impact not only the lives of the celebrants, but also of their families, colleagues, and loved ones. Milestones are so important as they indicate a moment in time when something in our lives shift. We move beyond where we’ve been. But what does it take to reach our milestones? I believe we all have markers that may or may not be more significant than major life events, but they do get us through the day to day so that we can reach our goals. They are the times we just don’t feel like getting up to go to school. Or, it’s a time we had to push ourselves to get a paper done. It could be we don’t understand something and have to ask for help, though don’t really want to have to get that help. We all challenge ourselves in some way or another. We push past our own limitations to get to a better place. Or we have to get up after falling down, sometimes publicly. I believe in these seemingly small moments we extend ourselves, and we grow. They are the steps needed to reach our milestones. And, as we struggle to learn what we have to do to live a satisfying life, we create moments in which we can privately be proud of ourselves. Sometimes I just don’t feel like getting up, yet once I’m in the park jogging, I revel in the greenery and people I encounter. There are days I haven’t a clue what to write, and I go through drafts of dead-end pieces until I find my voice, even if it’s warbly. My parents may have had to disagree hundreds of times, but they stayed together understanding that the conflicts were not the only aspects that defined their marriage. My husband was fortunate to work with musical legends, but he had to go to work each day knowing there was something new to learn since the guests changed daily. And he showed up even though he wasn’t always certain he’d give them what they wanted. As we all know going to school isn’t always a picnic. Whether we have to take courses in which we are not secure, or whether we have to see people that aren’t nice to us, showing up and getting through the days can be challenging. Yet, in the end, I know Anne and Jake graduated with awards and honors, having faced their own trials. I am proud of them for their accomplishments. Yes, they graduated, but they did so much more on their journey to graduation. And I am proud of Larry for all he accomplished personally and professionally. It takes work to reach our lives’ milestones, and we can congratulate ourselves for all we do, large and small to reach the end of each day. Each of these days carries us through, creating and shaping our achievements.